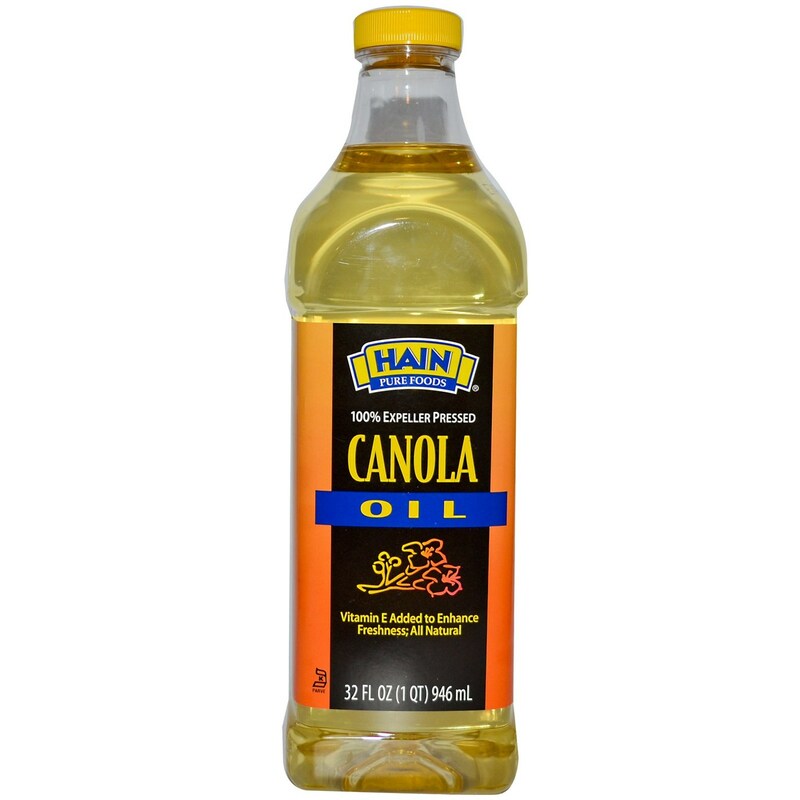 Sauté, sear or fry your next meal with the health conscious recipe of Hain's all-natural Canola Oil. Hain's Canola Oil contains pure, expeller-pressed canola oil enriched with vitamin E to provide antioxidant protection and maintain the health of your cardiovascular system and more. The expeller pressing process ensures all of the naturally occurring nutrients within natural Canola Oil are preserved and ready for yor body to absorb. Research suggests Canola Oil helps reduce tenderness and stiffness in the joints caused by arthiritis, for greater mobility and flexibility. Help your body maintain optimal health and wellness by cooking with Hain's all-natural, expeller pressed Canola Oil. Order yours now for our best price, here at eVitamins! Warnings: Any oil will burn if overheated. If oil smokes, reduce heat. Notes: Low in saturates. Non-GMO. Kosher-certified product. 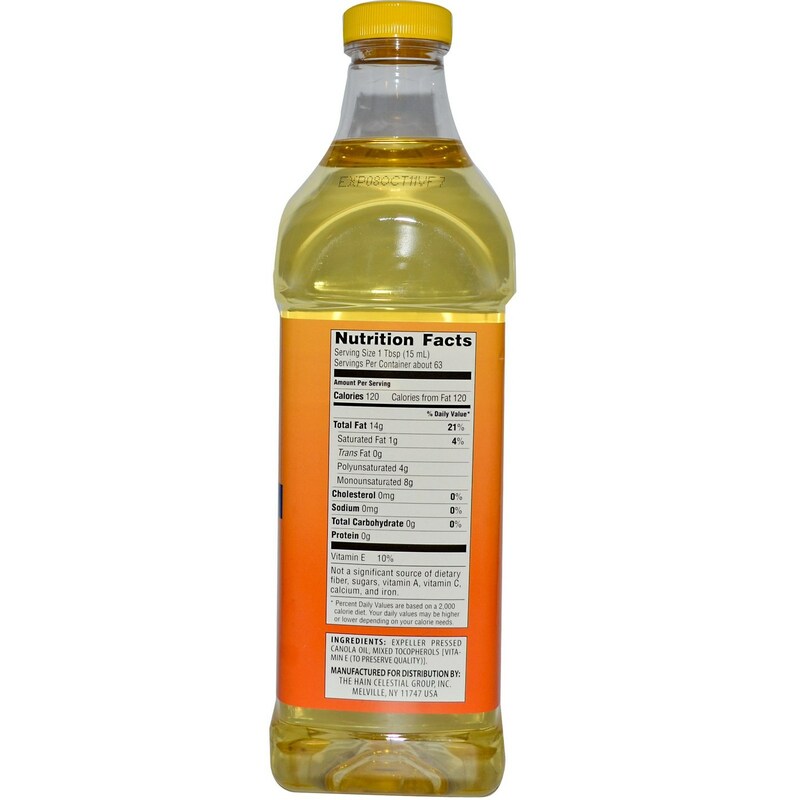 Recommended Use: Use as a cooking oil or in baking recipes as an alternative to butter or other cooking oils.